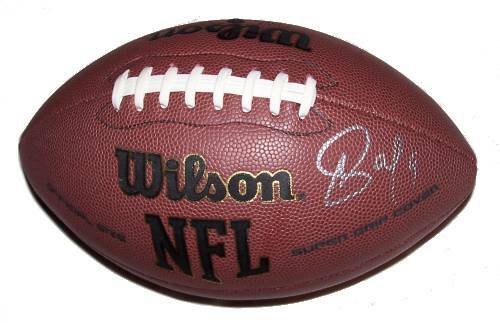 A Wilson NFL football signed by Carson Palmer of the Cincinnati Bengals. Comes with a Certificate of Authenticity. Carson Palmer is an American professional football quarterback for the Cincinnati Bengals of the NFL. He was drafted by the Bengals first overall in the 2003 NFL Draft. He played collegiately at the University of Southern California and won the Heisman Trophy in 2002. He has been selected to two Pro Bowls ~ Wikipedia.